Julian Robertson, a legendary hedge fund manager, thinks disaster will strike Wall Street if the Federal Reserve doesn't keep raising interest rates. "We are creating a bubble" in the stock market, Robertson said on Tuesday from a conference in Manhattan. Robertson, a pioneer of the hedge fund industry, warned that stock prices -- which hit an all-time high this week -- are too high right now. He pinned the blame on extremely low interest rates from global central bankers that have forced investors to take on too much risk. "It's the Federal Reserve's fault and the Federal Reserves all over the world," Robertson said from the CNBC Institutional Investor Delivering Alpha Conference. Robertson, who has amassed during his career a fortune that Forbes pegs at $4.1 billion, said historically low interest rates mean that "there's no real competition" for stocks. The founder of Tiger Management noted that up until recently investors had to pay interest in order to buy German government debt due to negative interest rates. The Fed slashed rates to near-zero during the Great Recession to stimulate the economy. However, Fed chief Janet Yellen has presided over four interest rate hikes since late 2015 as the U.S. economy has strengthened. Robertson predicted that President Trump will ask Yellen to stay at the helm of the Fed when her term expires in February. Treasury Secretary Steven Mnuchin, speaking at the same conference, praised Yellen as "obviously quite talented." Mnuchin said Trump is considering reappointing Yellen, but he added there are "a lot of good people" for the job. Of course, Robertson is hardly the first person to talk about a potential bubble brewing in the market. 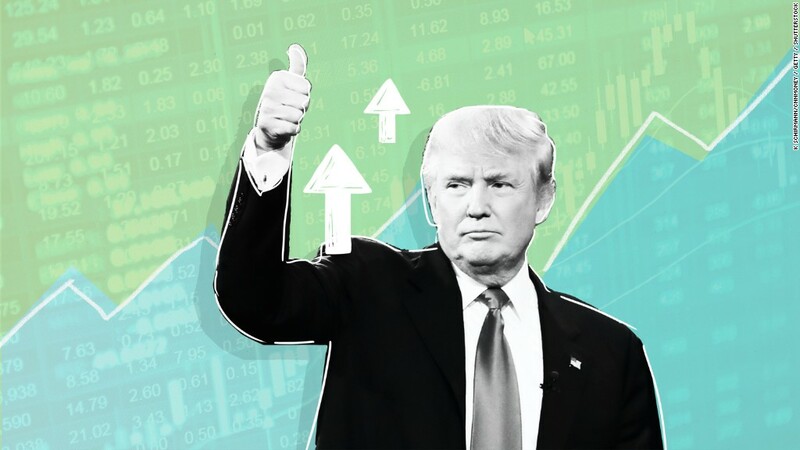 Wall Street is currently enjoying the second-longest bull market in history and the S&P 500 has soared 16% since Trump's election. Trump himself warned of a bubble, at least before he took office. During the campaign, Trump described the market as a "big, fat, ugly bubble" that was being inflated by Yellen for political reasons. Now, Trump regularly cheers the market to go higher and says Yellen has "done a good job." While Robertson thinks a bubble may be near, others think the market may have more room to run -- especially if Congress and the White House slash corporate taxes as Mnuchin promised they will. Leon Cooperman, another billionaire hedge fund manager, said at the same conference on Tuesday that the stock market is fully valued, not euphoric. One reason stocks are up since Trump's election is the shift in tone from President Barack Obama, according to Cooperman, who said he didn't want to criticize the former president. "It was a bit like someone had a foot on the throat of the economy" under Obama, Cooperman said. "That foot has been taken off the economy," he said. "You just have to careful we don't become too exuberant," Cooperman said.